Published in UK by Oxford. 2002. First Thus. 2 Fine Hardbacks. 4to. 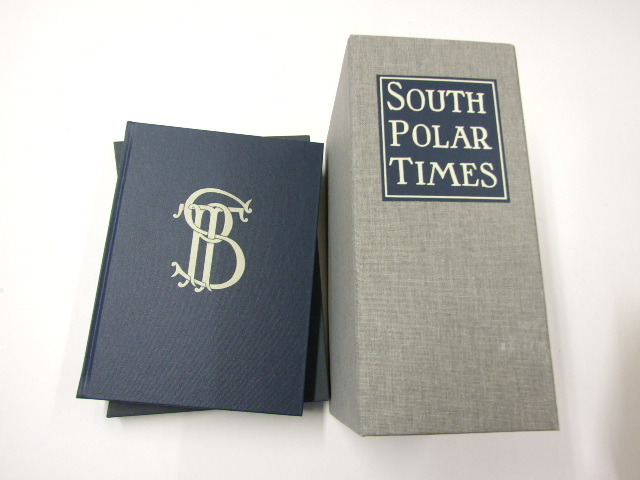 in two volumes with red/buckram spines, linen boards with gilt titles, pp. 1280. 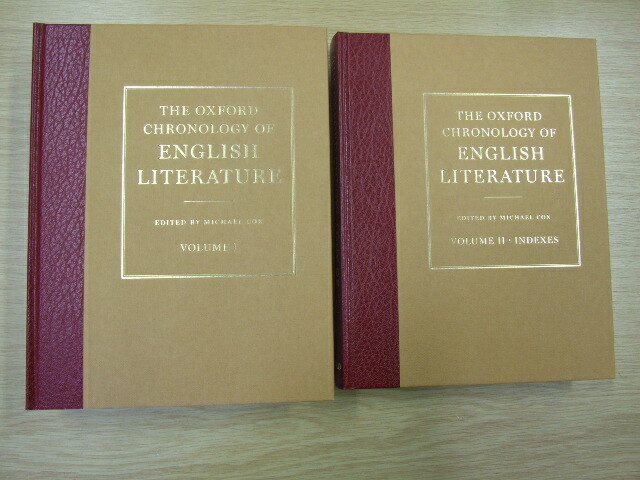 This selective digest of the printed record of English literature updates and expands on the Annals of English Literature, 1475-1950 (Oxford, 1961; o.p.). The Chronology includes both male and female writers as well as Irish, Scottish, and Welsh authors who wrote in English. More than 30,000 works from over 4000 authors are included. Entries include the author's birth and death dates if known, pseudonyms, titles, coauthors, and type of work. Volume one gives a year-by-year list of "significant and representative works" by British authors beginning in 1474 and ending in 2000. Volume two includes separate author and title indexes. For anyone who wants to find out when a work was published, which authors wrote during certain years, and who else published during the same time period, the Chronology will provide quick answers.